Our early game was extremely rough. Having Jarvan IV in lane means that you should either play aggressive or just watch him die. Vayne had me to below 50 health probably three times in laning phase. I felt bad for her. If she could have gotten those early kills she could have snowballed the lane. 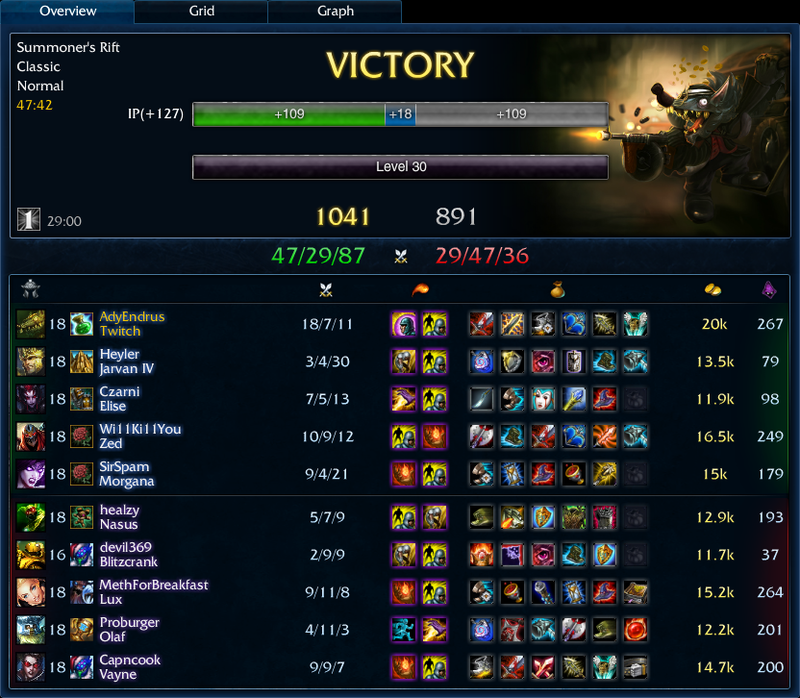 Let me tell you how a normal engagement would go: J4 rushes the enemy Vayne. Blitz rushes me. J4 gets to Vayne, auto attacks her once, then tries to disengage. Blitz gets to me. Punches me in the air, hooks me to him, drops exhaust, and continues to attack me so he takes minion aggro. Vayne can just ignore Jarvan at this point and starts shooting me while I’m running from Blitz! I hated it. We got ahead a bit in bot lane because of expert ganks from our jungler. Once we were ahead Jarvan’s mentality of “run at the enemy” started to work like Blitz’ was working at first. I was farming calmly when I saw Jarvan go ham on the enemy team. I realized he was probably in trouble. I went running up to help him. As soon as I’m within auto attack range Jarvan disengages and Blitz hooks me under the enemy tower. Seeing that I’m going to die I kill Vayne before going down. I then calmly explain to Jarvan that I don’t know how to help him do whatever it is he’s trying to do. Our laning phase wasn’t the greatest experience for growing a super machine AD carry, so I was actually pretty glad once it was over. I quietly scaled into a six item monster. Nasus was really upset with me and he would wither me and hit me for half my health. I learned at a young age to cleanse the wither and just DPS him down while he tried to solo me. Late game fights were not a problem. Just about my whole team was fed, so I just had the luxury of sitting back and avoiding crowd control. When their Lux would ult me I would drop to below half health. Many team fights were decided by lasers. I did try to give Zed some constructive feedback about his laning phase, which at first he took offense to it. I explained why I was giving him the advice and ended up getting honor from both of our randoms that game. Though I didn’t do all the carrying, I definitely pumped out some serious DPS this game.